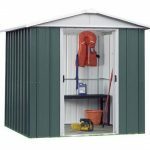 This 10 x 13 shed is coated in vinyl plastic, but the building has a strong steel frame that protects your belongings for a long time. 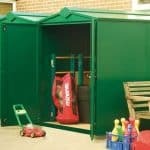 To enhance the overall sense of durability, the manufacturers have included a 15-year anti rust guarantee. 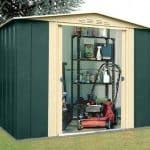 The coating of the shed is fire retardant PVC. 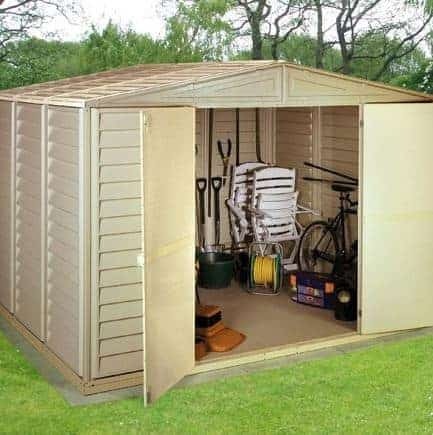 This is entirely waterproof and doesn’t need any maintenance at all. 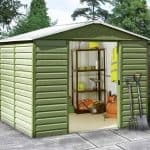 This shed is perfect for keeping your garden items and even your home items secure. 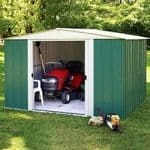 With a great size, and a steel frame beneath the roof, you have a very strong and durable building that you can trust.